After having exhausted your day in Montjuic lapping up Barcelona’s city vistas, there is another standout venue on the ArticketBCN list; and who else to pay homage to, but Barcelona’s favourite son, Antonio Gaudi. His work La Pedrera (The Mines) sits in the heart of the Barcelona’s city extension, L’Eixample. 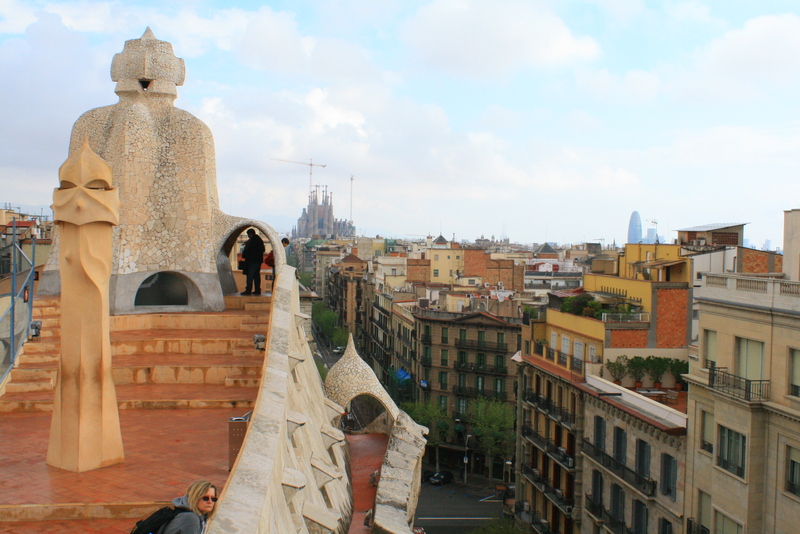 And by heart, we mean that it will have views of the port, the mountains, and La Sagrada Familia on a clear day. The facade is a single sweeping one of stone, a feat in itself as the self-supporting wrought iron structure curves along the corner. Inside, take some time out appreciate the arches that form the spine of the building. It’s like being in a whale, I guess. On top, take a look at the chimneys; not sure if they were supposed to be like monsters, but they do look funny. Or scary. The Museu Picasso is on this list, but be warned: Picasso’s blockbuster hits are not here, only token works from his Blue Period (his masterpiece Guernica, sits in Reina Sofia Museum in Madrid). However, take a look around, and I’m sure you’ll find several works that will catch your eye made during Picasso’s early years. 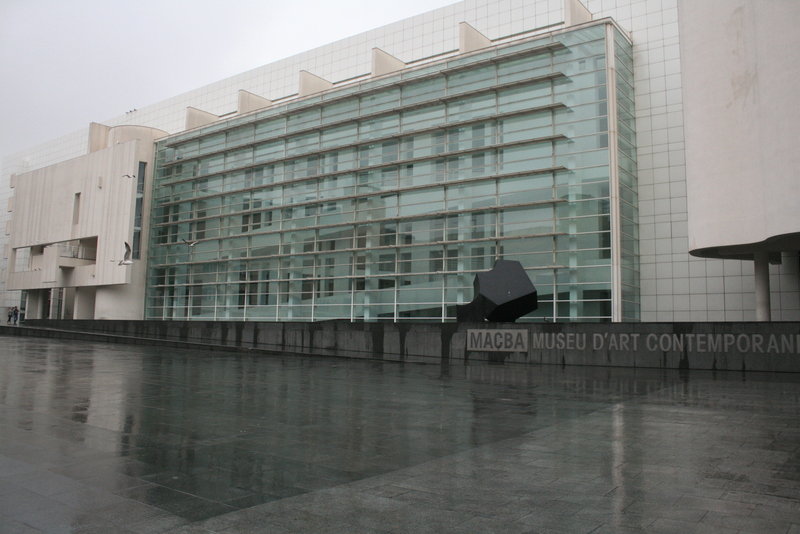 MACBA and CCCB are right beside each other and both house an excellent collection of modern pieces from sculptures to film. I never really understood modern art (Centre Pompidou is the best in the world, yet its content is still lost on me), so I ended up enjoying the kids skateboard around the concrete playground on its entrance. Fundacio Antoni Tapies is a modest two-storey building, famous not just for the doodles of the artist that bears its name, but also a library that’s closed to the general public (how useful). There are several dancers on the lower ground floor, and they’ll talk to the visitors in between performances (when they’re not crawling on the floor or running around). 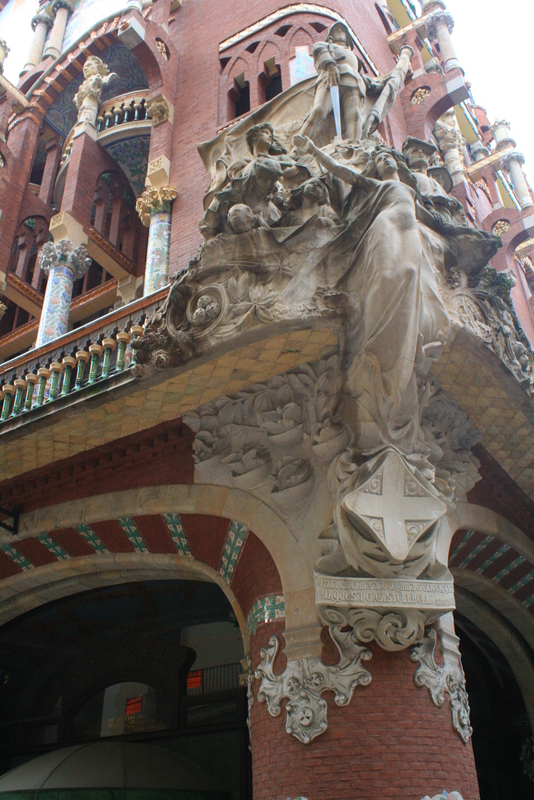 One museum not on the ArticketBCN roster that’s worth buying: an entrance to the Palau de la Musica Catala. All tour are guided, so you’ll always get the insider information on why, how and when the building was constructed. It was under the direction of Luis Domenech y Montaner (our guide quickly snapped: Gaudi alone did not build Barcelona) to honour the city’s much loved choir. 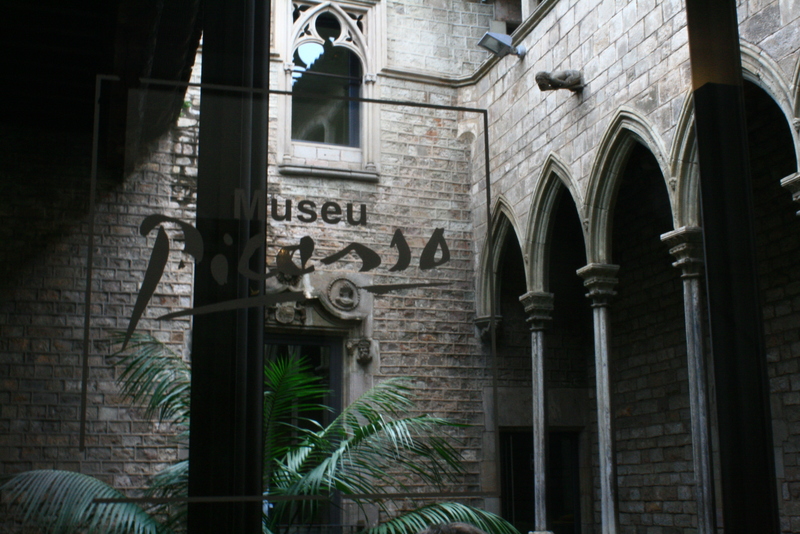 My favourite part was on how Art Nouveau came to Barcelona via Modernisme – the Industrial Revolution brought about the grime, pollution, and destroyed much of the city’s natural beauty (generally same everywhere). And how did art respond to this? They decorated everything to the nines – ornamentation, ornamentation, and more ornamentation. Ceramic tiles, blown glass, mosaics of flowers, bursts of colours – all of which are a tribute to nature that was quickly withering on all corners of the city. 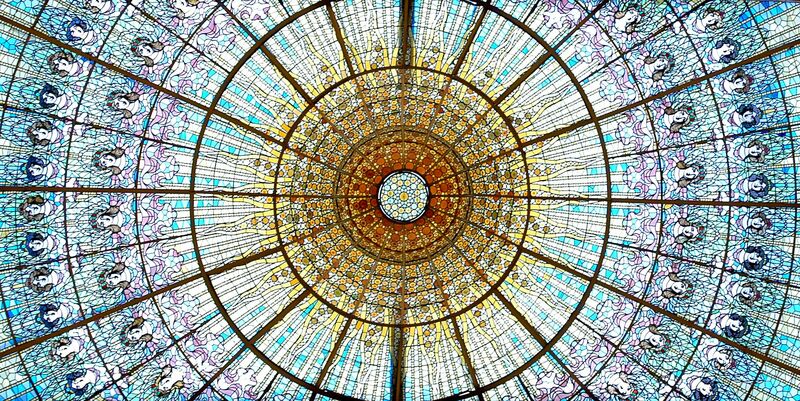 As a result, Palau de la Musica Catalana, stands abloom away from the city’s main avenues, regaling in all its Modernista finery. Its majestic stained glass skylight, adorned ticket boxes, and multitudes of sculptures inside and outside the premises all helped in gaining its UNESCO World Heritage Site status in 1997.